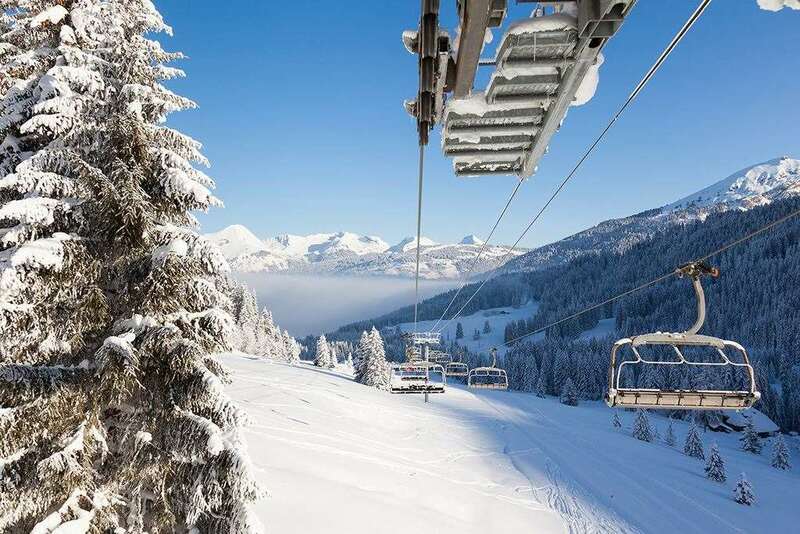 Chalet Hotel Regina is a 2 star hotel in the centre of the ski resort of Les Gets in Haute-Savoie, just 80m from the slopes and the main Chavannes gondola. Thanks to the excellent location it's a great place to stay for a ski weekend or short break, with the added benefit of an easy transfer (75 minutes by road) from Geneva airport. The hotel resembles a large chalet, with exposed wooden beams and a characterful Alpine interior, traditional in style and décor in the bedrooms and more modern in the public spaces. Lounge bar with open fireplace and sofas. With either two single beds or one double bed, equipped with ensuite shower/WC. Triple rooms and quad rooms can be requested. All rooms have a TV, Wi-Fi, hairdryer and safe and some offer a balcony. Hotel has its own restaurant 'Le George', which has a chilled vibe and offers a pleasant choice of cuisine.